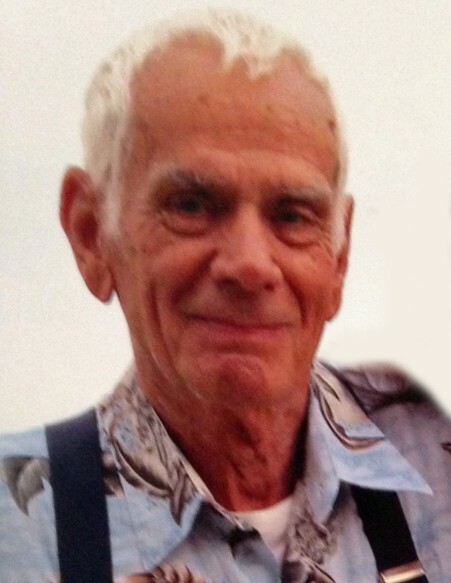 Ivan "Ike" William Flohr passed away with family by his side on November 25, 2018, after a six year battle with Alzheimer's Disease. Ivan was born January 5, 1934 in Akron, Ohio. He graduated from Cuyahoga Falls High School in 1952. Ivan started working at a very young age. His first job was at the tender age of 8, delivering newspapers, at age12, he worked for a bowling alley setting pins. He worked full time ever since. Many years he worked two or three jobs to support his growing family. He was an accomplished cabinet maker before taking a job at Goodyear Aerospace in 1952. He worked as a machinist and built blimp parts for Goodyear until 1966 when he started his own company, Flohr Machine Company. Flohr Machine celebrated 50 years and three generations in 2016. He was an honest businessman with an impeccable work ethic. He also told us that you can never have enough knowledge, learn what you can when you can. If you knew Ivan well, you knew him as “Ike” or “Pop”. In his younger years, Pop liked to bowl, but his true passion was always outdoor living and farming. After retirement, he moved to Freeport, Ohio where he enjoyed his 150 acre farm and raised cattle for 10 years. It was a beautiful place to camp out, go fishing, have family picnics and an occasional square dance in the barn. Pop survived many health issues over the years including an aortic aneurysm, cancer, a massive heart attack and major back surgery, but ultimately it was Alzheimer's that stole his memories and slowly and sadly robbed us of our Dad. "Pop" had a great sense of humor, he was extremely generous and he loved and served the Lord. He gave to many charities, but his favorite was Compassion International where he sponsored several children in Ecuador. Ivan married Judith Mary McDonald on September 5, 1953 and together they raised 12 children. He was preceded in death by his parents, Charles and Margaret Flohr; sister, Sally Melton; brothers, Charles (Chick) and Paul (Mick) Flohr and grandson, Sebastian Flohr. He is mourned by his children and their spouses, Ruth (Richard) Drouhard, William (Elizabeth), Theresa, Joseph (Kathy), Margaret (Gary) Lehner, Mary (Robert) James, Peter (Char), Jude (Susan), Faith (John) Lanshe, Sheila Harvey, Grace (Mark) Demaree and Gerard (Leslie). His 69 grandchildren: Emily, Richard, Grace, Peter, Dorothy, Judith, Amanda, Mary (Drouhard); Sarah, Hilary, Greg (Flohr); Veronica, Matthew, Alexis, Anthony, Victoria (Shreffler); Charles, Rachel, Michael, Angela, Timothy (Flohr); Katherine, James, John, Alicia, Ellen, Marie, Hannah, Colleen (Lehner); Claire, Benjamin, Andrew, Daniel, Natalie, Robert (James); Michele, Jennifer, Ryan, Roseanna, Valerie (Flohr); Daniel, Brian, Steven, Stephanie, Phillip, Rebekah (Flohr); Alexander, Gabrielle, Augustin, Madeline, Bernadette, Margaret, Gerard (Lanshe); Mary, William, Elizabeth, Michael, Melanie (Harvey); Joseph, Kathleen, Jessica, Jacob (Demaree); Anthony, Christopher, Zachary, Catherine, Luke and Lillian (Flohr). He is also survived by his 63 great-grandchildren, his brother, Patrick Flohr of South Carolina, many nieces, nephews, cousins and friends. "Pop" loved and was loved by his four-legged faithful companion, Abby. She gave him much comfort and support throughout his illness. The family would like to extend our gratitude to his wonderful caregivers; Lori, Tammi, and Camille; his hospice nurses, Julie, Gloria and Mike for their loving care, kindness and patience. We thank the special grandchildren who gave loving care to their grandfather; Grace, Colleen and Madeline. If dad saw a custard stand on his way to heaven, I’m sure he stopped. Friends may call at the Bacher Funeral Home 3326 Manchester Road, Akron on Friday, November 30th., from 3 to 8 p.m. where services will be held Saturday, December 1st., at 10 A.M.
Interment at Holy Cross Cemetery, Akron. In lieu of flowers, donations may be made in honor of “Pop” to Compassion International or The Ivan and Judith Flohr Scholarship Fund, care of Flohr Machine Company.